Gray Seals, Once Hunted, Are Thriving In New England : The Two-Way Massachusetts once offered a bounty for gray seals. After conservation efforts, the New England population bounced back, and Google Earth images show more seals than scientists had previously counted. 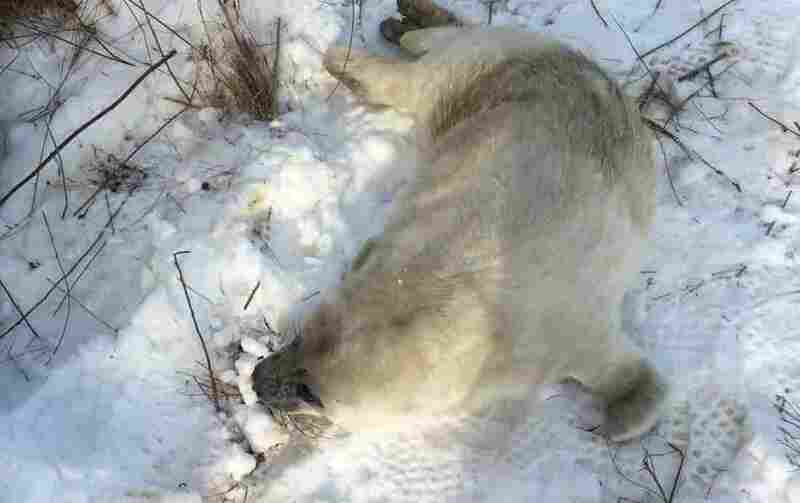 Snow and ice cover can camouflage seals, making it more difficult for scientists to estimate the animals' populations with accuracy. The gray seal population in New England has bounced back, and new data points to how well seal numbers are doing. Gray seal numbers had been decimated for more than a century when the Marine Mammal Protection Act was passed in 1972. The animals were hunted in New England, and as NPR has reported, Massachusetts even paid a bounty of $5 each. Though it has been clear that the population has grown in number, it has been difficult to pinpoint just how much. 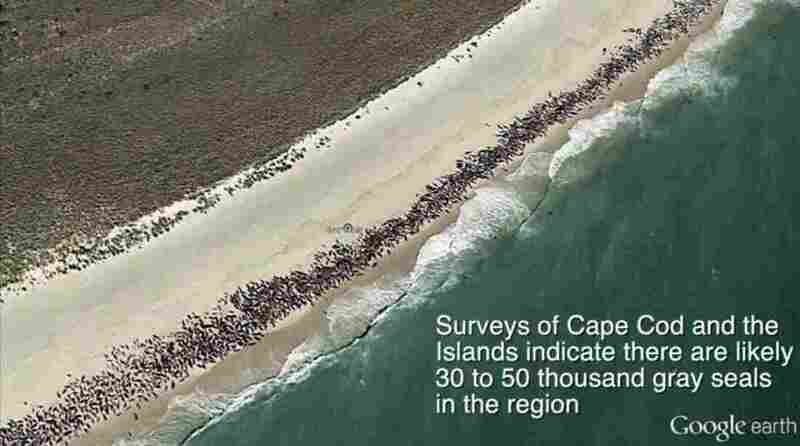 "Past surveys based on traditional methods of counting, using occupied aircraft to survey seals on beaches, islands and seasonal ice cover, counted about 15,000 seals off the southeastern Massachusetts coast," David W. Johnson, a professor of marine conservation ecology at Duke's Nicholas School of the Environment, said in a statement. "Our technology-aided aerial survey, which used Google Earth imagery in conjunction with telemetry data from tagged animals, suggests the number is much larger — between 30,000 and 50,000," he adds, calling it a "conservation success." The researchers also pointed to "exponential growth" in the population from a Nova Scotia breeding colony, where animals are known to move south and vice versa. The animals can grow to 10 feet long and live up to 35 years. 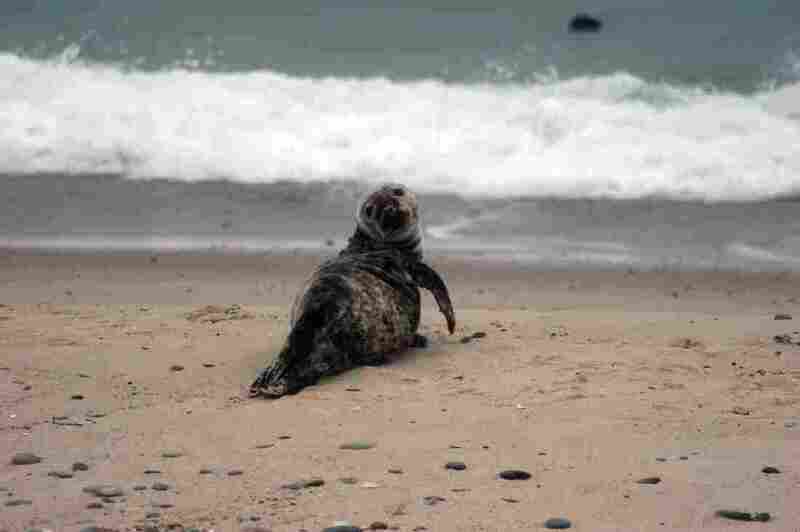 The team's research published in BioScience counted gray seals along the coasts of Martha's Vineyard, Nantucket and Cape Cod. "These remote eye-in-the sky technologies make it easier and safer for scientists to study migratory wildlife in remote locations and estimate their numbers accurately," Duke University said in a statement. The pinnipeds spend a lot of time in the water, and during aerial surveys their light-colored coats can blend in with ice and snow, which have posed challenges to assessing their population in the past. But using drones equipped with thermal imagery technology allowed the researchers to "see" animals that had eluded them in the past, and they used telemetry data to estimate the portion of animals on land vs. in the water. The surging gray seal population has rankled some fishermen. In 2012, Curt Nickisch reported for NPR that fisherman in Massachusetts complained of seals stealing their fish. "The seals just sit there and eat the fish out of the net as it's coming up into the boat," fisherman Sam Fuller told Nickish. Fisherman are not allowed to shoo them away, he added. Some groups have even advocated culling the seal population, Popular Science reported. But Johnson decried the idea as illegal and premature. "We know almost nothing about what gray seals eat, how and where they forage, and whether they interact in an ecological way with fisheries," Johnson told Popular Science. "There is very little evidence that culling seals will increase fishery yields or provide positive effects on the local ecosystem." At the same time, Nickisch reported the seals are popular with tourists and seal-watching boats are a booming industry.